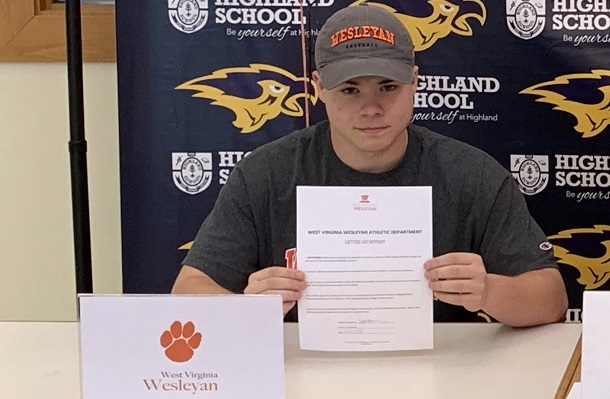 Luke Burner, the son of 1980 Bridgeport High School alumnus Curt and Dori Burner of Gainesville, VA, signed his national letter of intent to play baseball at West Virginia Wesleyan College next year. The letter was signed Monday, Nov. 19. Burner is an honor roll student at Highland School and after high school graduation in May, plans to study computer science at WVWC. The new school puts him close to a place he's already familiar with. And close to some names he's familiar with, as well as plenty in the Bridgeport community. “Bridgeport is like my second home, so attending WVWC is sort of like a homecoming and I am excited about getting to visit with my Grandma (Dixie Burner) and Uncle Joey (Joe Burner, BHS ’88) more often. I am sure my Uncle Joe will take me to see a few WVU football games too," said Burner. Burner's high school Coach Micah Higgins had words of praise for his standout. “Luke has been a day one starter since he arrived as a freshman on a perennial state contender that’s gone 63-14 in his three seasons. Luke is a career .421 hitter in high school and broke the school record for hits in a season last season as a junior with 40, while being named the Conference Player of the Year and first team all-state. 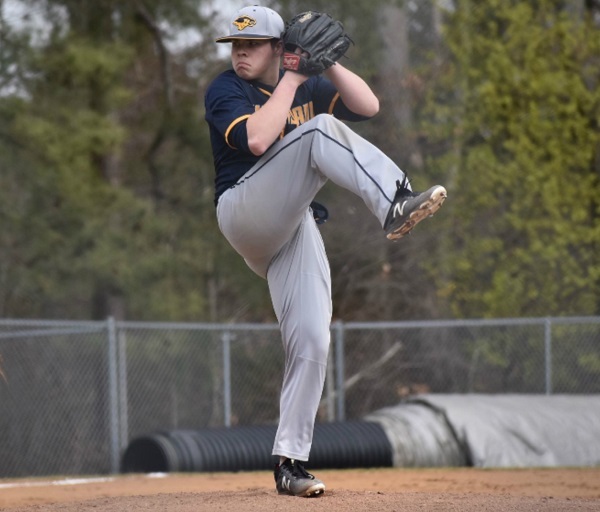 Luke is likely to break the career hits record at Highland this season as a senior as well contribute on the mound as one of our top pitchers," said Higgins. Brett Ripley, the associate head Ccoach West Virginia Wesleyan College, is thrilled with the Bobcats' latest signee. “Luke is a high character hardworking individual that we are excited will be joining our program next fall. Not only is Luke a tremendous addition on the baseball field but he also fits in great academically. We look forward to seeing Luke compete for playing time early in his career and can’t wait to have him as a Bobcat,” said Ripley. Editor's Note: Photos submitted to Connect-Bridgeport.